An action game, featuring elements of a 3D platformer, based on J.R.R. Tolkien’s novels and the movie trilogy by Peter Jackson. LEGO The Lord of the Rings is another "blocky" production from Traveller’s Tale studio. 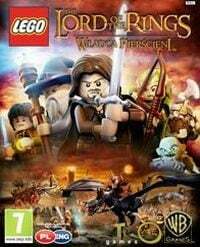 LEGO The Lord of the Rings for PC, X360 and etc. is another installment in an extremely popular game series designed for people of all ages, in which you can visit universes known from popular films, recreated with LEGO bricks. The game was developed by the UK Traveller's Tales Studios, which in the past has developed many titles about cartoon or animated characters (such as Sonic the hedgehog). For some years now, the developer has been primarily focused on games licensed on LEGO brand (e.g. LEGO Pirates of the Caribbean or Lego Harry Potter series). In the case of LEGO The Lord of the Rings we deal with a title strongly based on the screen version of Tolkien’s trilogy directed by Peter Jackson. Just as in the books and the cinema originals, the main task of the player is to destroy the Ring, as one of the nine members of the fellowship, initially led by the mage Gandalf the Grey. In the game you can play as various, well-known characters and live out memorable scenes throughout consecutive story missions. Interestingly, for the purposes of a special mode Traveller's Tales built a virtual version of Middle-Earth, which can be explored freely. The game is divided into stages, during which you visit locations known from all three parts of Jackson’s production. Among these are: Bag End, the depths of Moria and Khazad Dum bridge, Helm's Deep, Gates of Mordor, and Mount Doom. You also meet a vast majority of well-known characters from Tolkien's trilogy – the authors prepared more than 80 playable characters. Among them there are some that did not appear in Jackson’s films, e.g. Tom Bombadil. Each level is full of humorous references to the movies and contains many puzzle and action elements. For the first time in the history of the Traveller's Tales series Quick Time Events were implemented. LEGO The Lord of the Rings for PC, X360 and etc. offers both single player and co-op for two people (split screen). Despite this, you can play as many characters and switch between them freely. In terms of visuals, the game looks similar to other titles from Traveller's Tales. One novelty, however, is that cut-scenes are accurate representations of corresponding scenes from the movies. As the game’s soundtrack the music from the movies, composed by Howard Shore, was used. Also, a small revolution in the series are dialogues – for the first time the characters not only murmur to each other, but actually use original dialogues.